Maanas Rautela’s primary area of practice is in commercial and residential real estate law, while also practicing in the areas of corporate law, as well as will & estate planning matters. Maanas brings with him a solid transactional foundation in residential & commercial real estate, and franchise law. 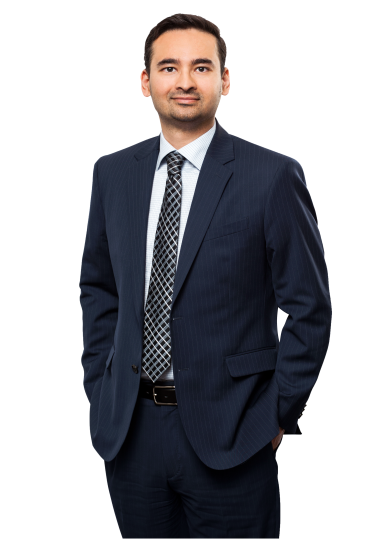 Prior to joining FIJ Law LLP in 2019, Maanas has over 3 years of experience at law firms in the GTA, where he gained extensive exposure in the areas of real estate, corporate, commercial, and labour & employment law. His variety of work in this field includes acting on behalf of individuals, corporations, financial institutions, acquisition of businesses, wrongful dismissal claims, and executive compensation matters, to name a few. One interaction with Maanas on a real estate file and clients feel immediately that they have the experience of a diligent real estate lawyer protecting their largest asset. In addition to his diligence in this aspect of law, his experience in employment law adds a valuable perspective to our business clients. He maintains a high standard of ethics and continues to put others before himself. You can count on Maanas to deliver. Maanas is fluent in English, Hindi and Urdu. Maanas is a member in good standing with the Law Society of Ontario.